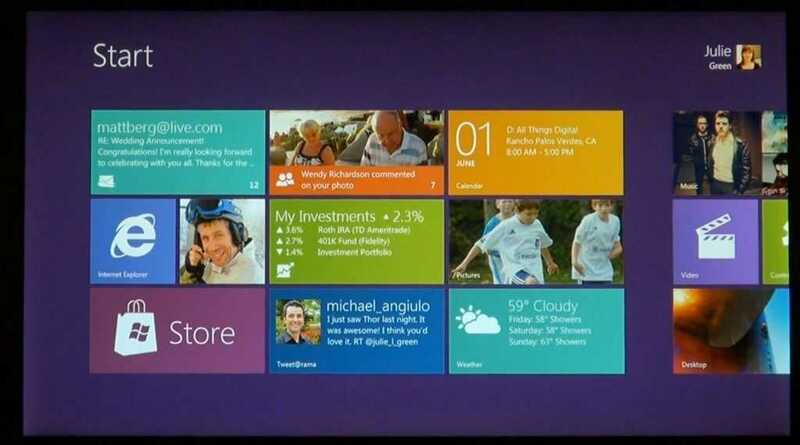 Tag Archive | "ultra mobile"
Windows 8 Brings More Mobility, but Should You Wait? I, like many others, believe that Windows 8 will re-enable the pocket productivity market and lift us out of this strange consumer-focused mobile mess we’re in at the moment and get us back to a place where we have ultra mobile PC choices for our mobile, flexible working practices and scenarios. Marketing, social networking, price wars and tablet fever are getting in the way of what many people want â€“ productivity in the pocket. I love Android and IOS of course but I’m not letting that change my opinion that there is a requirement for a full desktop capability in a handheld form factor. The market is indeed fairly small but it’s in many different niches and sectors. [Raise your hands in the comments if you’re one of those ‘niche’ users.] Android and IOS have done a lot for mobility, sharing and mobile media and have quickened the pace of mobile processor developments so much that we’ll all benefit in the end but when you look at the software, the pace of development of productivity software is just embarrassing. On the whole, It’s a sector that focuses on quick-hit, fast turnaround, short-lifecycle software and it’s vastly different to the full-fat, long lifecycle, productive and flexible software you get on the desktop. Two years after this consumer mobile market started taking off there still isn’t a way to buy an off-the-shelf DVB-T module, extend the screen or even log in with multiple user IDs. There are literally hundreds of features that are missing and each one of them is a potential roadblock for the advanced mobile user. That’s why Windows 8 is an exciting operating system to look forward to. It will retain probably all of the flexibility of Windows 7 but will introduce important features from the world of consumer mobile devices. 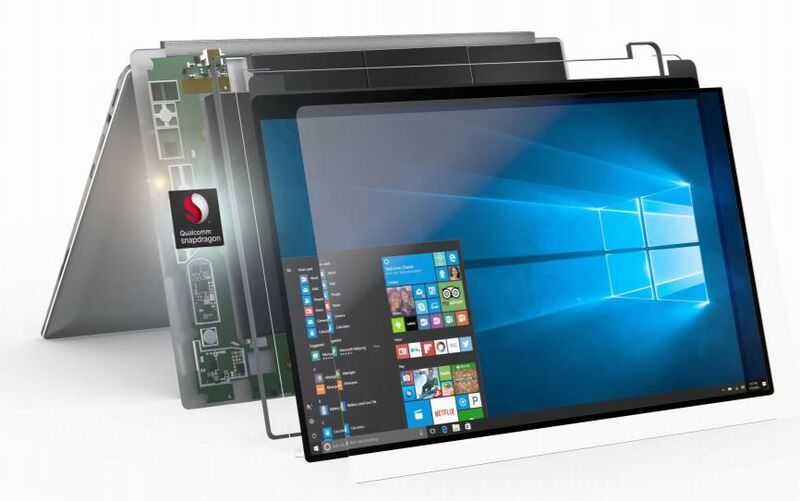 Always-on, improved sensor support, touch user interface, quick-hit apps and sharing along with support for ARM-based platforms and new X86 platforms that remove some of the old legacy PC features and introduce new boot and power management subsystems. Between now and, lets say, mid 2012, I doubt we’ll see any of the existing mobile operating systems advance so far that they challenge Windows and none of the new operating systems have much of a chance either. Buying an ultra-mobile PC has never been so hard but 12-24 months is a long time to wait for Windows 8. If you’ve got a requirement, you need a device and it’s as simple as that. It’s a low-cost solution but requires a table or a lap. That’s not quite ultra mobile computing is it! Having said that, if you want to save money until Windows 8 comes along, searching for a surface or using your lap might not be too much of a problem to put up with. My advise would be to look at some of the Atom N550 or N570-based devices with a focus on Samsung who still seem to lead with better build quality and more efficient electronic engineering and screens than others. The NF310 continues to get good reports. Asus are also worth considering and the Eee PC 1015 with N570, 2GB RAM and Windows 7 Home Premium is a real bargain at under 400 Euro in my opinion. There’s even the updated T101MT with N570 and 2GB, Windows Home Premium and capacitive touchscreen at around 500 Euro in Europe. Drop a fast SSD into that and it should make quite a nice Windows convertible. Given the age of Menlow and the lack of choices around it’s not something I would recommend to everyone but if the pocket is the destination and Windows is the requirement, what option do you have than to buy a Viliv N5 or a UMID Mbook SE? Both companies appear to have disappeared from the radar though so be very aware that major failures may not be fixable. ECS and Viliv have both talked about building a 7 inch Oaktrail-based Windows tablet but unless a major customer or market is found, neither of those solutions are going to hit the market. By all means, wait and see but I personally think it could be a very long wait. You may want to plug in your DSLR and run the remote capture software but there are alternatives. In this case, check out the Eye-Fi card. For those wanting full Microsoft Office support, look at the Asus Transformer and think about a remote desktop solution. For full-internet-experience browsing, look at whether IOS or Honeycomb will satisfy your needs. On smaller Android tablets, the Dolphin HD and Opera Mobile browsers are coming along nicely. Firefox is progressing too. Think about a Dell Streak (only 299 Euros here in Germany right now) or a Galaxy Tab (350 Euros) along with a low-cost netbook. Look at PC keyboard sharing solutions for Android. Think about the Google suite too. Android also offers a lot that you can’t get in a PC yet. Location, Sharing, always-on and a large amount of fun! If you’ve read this far, you’re into ultra mobile computing which is a good thing. It’s fun, flexible and productive but you will also have very individual requirements. The private pilot. The dentist. The courtroom assistant. The musician. The world-tourer. Take a close look at your requirements and see what would want and compare it with what you, realistically, will need. If possible, take a risk or two and ignore that extreme scenario that you’ve got on your list. One thing I would advise all of you to do though is to check out the Samsung Galaxy Tab. I’m not joking when I say it changed my mobile computing world. I no longer have a netbook. I no longer have a high-end smartphone and there are very few scenarios that I can’t cover with it now. I’ve heard people say the same about the Dell Streak (5 inch) too. If you really can’t swallow that, the iPhone 4 has to be high on the list, the netbooks I mentioned above and even some older devices like the Samsung Q1 Ultra Premium. Oh, and don’t forget to look at the Toshiba Libretto W100/W105! In Part 1 of this series I covered three strategies for ultra mobile video editing and decided that the traditional, PC-based solution was the only real choice for today. I also set out some parameters. The solution comes in three parts. I have personal requirements for the camera that mean it also needs to be able to take photographs for the site. It should also include self-shooting (front or swivel viewfinder), built-in stereo microphone. 28mm wide-angle capability. Good low-light performance and long zoom range for close-up to press conference zoom-ins. An external mic input and hot-shoe would be an advantage. It this stage I have two cameras in mind. The Canon SX20IS and the new (currently unavailable) Fujifilm HS20 EXR which is said to have some good, and very helpful, low-light options. It doesn’t have the self-shooting viewfinder though. I’m still looking at other solutions but for this post I want to refine the choice of PC down to a shortlist. The current shortlist is shown below. Please feel free to propose alternatives. 13 inch devices will remain out of scope because of size. I have to draw the line somewhere and I feel that 13 inch just goes beyond what is acceptable on a seat-back table, in one hand and in a small bag. (*1) At this stage it seems fairly clear to me that a dual-core Intel Atom alone isn’t going to be enough on its own to process 720P video which means the pure netbook solutions fall away leaving only the Ion2-enhanced Asus 1215N where CUDA could help push the performance. The E-350 CPU performance isn’t a huge step forward from the N550 but with the 3D and HD decoding support, should help the editing experience and, possibly, a 720p-to-480p conversion stage that allows faster editing. Note that the ION2 in the Acer P1015PN doesn’t have the CUDA core required for enhanced video rendering performance. The AMD C-50 based solutions aren’t as powerful as Intel N550 for general purpose computing but do include video decoding support (not hardware encoding) which could help in a 720p to 480p pre-editing conversion process. Due to this, the NB550D and 1215B stay in the shortlist. Interestingly, the new Intel Oaktrail platform includes 720p encoding and decoding in hardware. Unfortauntely this won’t help much in the video rendering process where almost everything is done in software. It could help with a 720p to 480p conversion process before editing but the CPU and GPU is then unlikely to be strong enough to support a smooth video editing experience. Am I considering tablets like the Hanvon B10 and the EeePC Slate E121? No, because being lap-capable is critical and inputting text around a video is a requirement for almost everyone. Adding a USB or Bluetooth keyboard is considered a point-of-failure and would bring the weight up by 200gm. In summary, we have an entry point of 11.1 inch screen and a minimum weight of 1.3KG. I’m surprised that I can’t find anything in the 1.0-1.2KG range. The only solutions available are all close to 1K Euro which puts them out of scope. Note: Why limit the price? I want to come up with a solution that as many people as possible can consider. I will say now that I’m looking for someone that can supply these devices for testing because i’m not about to go out and buy 5 laptops so – Free series sponsorship to any reseller that can help us with this project – but I will put my own funds into the pot and start with the smallest, lightest, cheapest option. 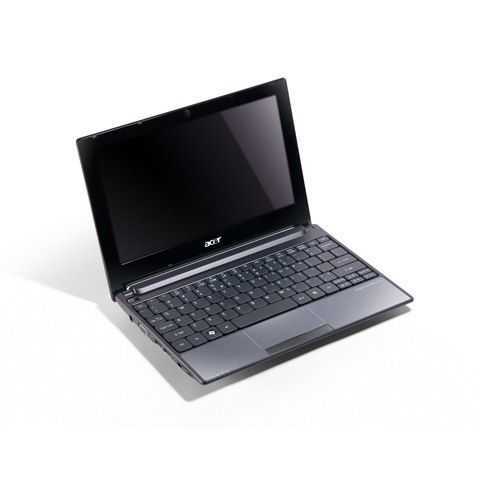 Later today I will be heading out to pick up the 299 Euro Acer Aspire One 522 with the AMD Fusion CPU and 720p screen. For that price, it would be stupid not to! Update: Unboxing and first impressions article is now up. The 1K Challenge: Working my E-book in Grams, Euros, Words and Kilometers. How easy is it to work for a day on a PC. Easy! How about writing 1,000 words and carrying less than 1KG of equipment that costs under â‚¬1000? How about doing it while traveling and not carrying any mains adapters? Next week I have three days on my own and I plan to get away from the home office. I’m not sure where I’m going but I do know that I will be setting myself a challenge â€“ to finish my e-book which is now nearly a year past my planned schedule. I’m also going to throw in some other targets too and it should be interesting for you to watch. Can I work for a full day carrying less than1KG of equipment worth less than â‚¬1K. The PC alone is quite the challenge as you’ll see from an article I wrote in the summer. Finding a netbook under 1KG is impossible so you’re left with specialist devices or ARM-based tablets and ‘smart books’ and even then, adding the additional capabilities (obviously via a smartphone) and ensuring you’ve got enough battery power is something i’ve never been able to do in 1KG before. My reporting kits of the past have rarely got close to 1KG. This one was an exception. I’ve set a few ground rules which also narrow down the choice. Screen: 7 inch or more. In my experience, trying to work efficiently on anything less is going to result in stress, aches and embarrassment as you crouch over the device to read the screen or enlarge the text so much that you haven’t got enough working space. For most people 9 or 10 inch is entry level. Battery life: 5 hours. A full day would be regarded as 8hrs or more by most but there are only a few devices around that could deliver more than that in an always-connected, screen-on scenario. The iPad springs to mind as the #1 choice in terms of battery life but I need to consider other, more business-oriented options. Document editing capabilities includes offline text input and formatting capabilities with embedded images and links. In summary: offline rich text. Connectivity does not have to be on-board and can be provided via BT tethering, 3G dongle , MiFi or free wifi connectivity. Multiple test rigs per day. I know that some of the solutions won’t last for more than 5hrs. In order to get the most out of my 3 days, i’ll be taking multiple ‘rigs’ so that I can switch to a new setup if needed. 4 Setups will be tested. If I can’t get a rig working in under 1KG, I will make it as near as possible using the resources I’ve got. As I mentioned, there isn’t a netbook out there that can do this so we’re looking at UMPCs. The Viliv S7 (830gm), Sony Vaio P11 (632gm) and Viliv X70 EX (660gm) head up the list of PCs that I could choose from although there’s a good chance that the Tega V2 will turn up here in time for the test. That would be an interesting one at 800gm and with a nice 10 inch screen. Adding a keyboard and the phone would probably take it to 1.2KG though. We’ll have to see. There are some other non-windows devices too. The Toshiba AC100 runs for 7hrs and weighs only 800gm. I would only need to add a smartphone to complete that setup in under 1KG. The Viewsonic ViewPad 7 would be a very very interesting option. It would only need a keyboard to complete the set-up as it already has GPS, 3.2MP cam, navigation, voice, SMS and 3G built-in. I will try my best to get hold of one of these for the test. There’s the iPad to consider too but getting a stand and keyboard in under 1KG could be a challenge. I’ll see what I can do about getting an iPad setup for the test. The 1K challenge starts on Saturday and I’m thinking of adding one more ‘k’. Can I travel 1000 kilometers while I do this? If you live in Germany/UK/Netherlands and have a Vaio P11, an iPad 3G or another solution you want me to consider, (UK or German OS please) get in contact with me via the contact form available through the link on the site header. If you live in Duesseldorf, Hannover, Stuttgart or some other major city and you fancy a mobile blogging meet-up, let me know and I’ll try to plan it in. Stay tuned to UMPCPortal for more information on the 1K challenge later this week. News about a new Sony VAIO â€œUltra Mobile inch has me pretty excited. I’ve been a long time fan of the Sony VAIO UX series, and have been wishing that Sony would reinvent the Clie UX as well. The first thing we should ask is: â€œWhat’s in a name? inch Sony is calling this an â€œUltra Mobile inch. Generally, Sony’s line of thin, light, and high performance laptops has been referred to (in the US at least) as ultraportables so that may be something to consider, though it is quite possible that he translation simply comes across differently. While I wish more than anything that Sony was reinventing the VAIO UX series, Sony refers to those machines as â€œMicro PCs inch, so I doubt we’ll be seeing a new VAIO UX or anything similar (ie: no slider). The last thing to talk about is the orange symbol on one of the teaser graphics. Several have pointed out that it looks like a paperclip, and it could also be the view of the computer from the side. The Sony VAIO P [product page][review] actually fits the image pretty well, as the lid is quite thin compared to the body of the computer. Still, it’s probably best to not take that image too literally. Best we can infer is that it’ll be a laptop style form-factor. Based on the demographic being shown in the teaser (young and hip) it’s possible that Sony has a new line of netbooks coming down the road, or it could be a new Sony VAIO P as Engadget says they’ve been told by a â€œpreviously proven inch tipster. Still seems odd that they’d start up a teaser campaign just to add a new VAIO P to the P-series. Maybe Sony is actually working on something more akin to the UMID BZ [product page] or Sharp Netwalker [product page]. What say the readers? What would you ideally like to see from Sony compared to what you think we’ll actually end up seeing? JKK and I talk about the upcoming IDF and what could be in store for Ultra Mobile fans next week and we take some time to think about the Everun Note. Cars are one of the many places that UMPC’s fit in very well. Only a short session browsing the forums at MP3car.com gives you an idea of how popular car pcs are becoming. As I write this there are 450 people actively reading the forums, they have 50,000 members and have nearly 900,000 postings. That’s huge and until now, all they had were hand-built PC’s. Now the ultra mobile PC is on the scene, I think it will open up the possibilities to many many more people. 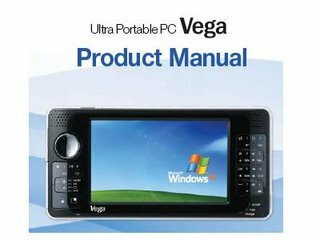 The Vega ultra mobile PC is a good example of a ultra mobile PC that would work well in a car. Its small enough to sit on a dashboard and (given a bluetooth adaptor) can support Navigation, Video, Internet access and audio. Navigadget wrote a brief article the other day on a Korean ultra mobile PC that appears to be aimed directly at the auto market. Its the Uren V1. 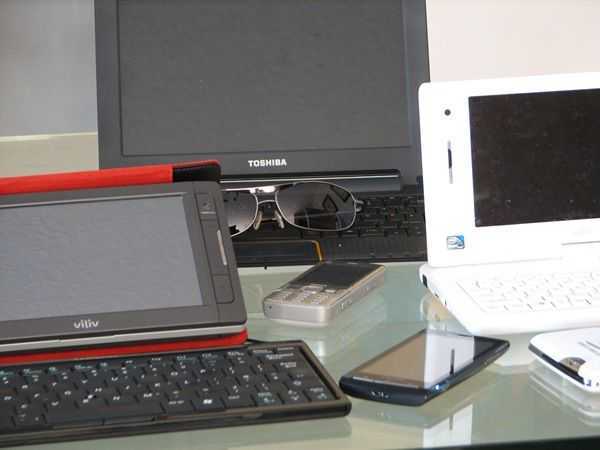 Its got a typical ultra mobile PC specification list comprising 1Ghz processor (type unknown,) 7″ screen, 30GB drive etc etc. There’s a GPS built in, a camera and as its a Korean device, it has DMB digital TV support. What I really would like is that screen mounting solution and the remote control. All UMPCs aiming a consumer market should include these as they hint at some of the usage scenarios that are possible, give it a consumer feeling and, of course, enhance its input/output mechanisms. The car-based PC market is going to grow rapidly in the next 3 years. 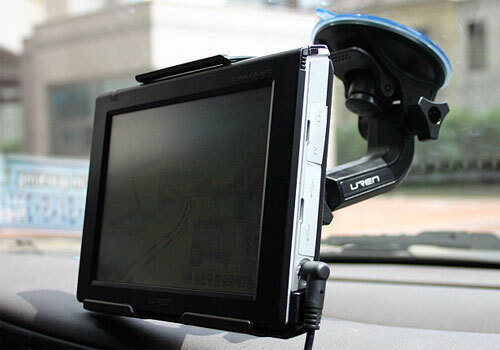 Once manufacturers squeeze the last out of the pocketPC platform for Navigation units in cars, you’ll start to see more and more enhanced car-pc options becoming available. Coupled with a Bluetooth enabled car stereo and a 3G mobile phone, there are a ton of possibilities. Navigadget have more pics and details. Update: The manual linked to in this article is not the final release. Just a draft that I have been able to get hold of. Both Gottabemobile and UberTablet websites have unboxings underway so I thought I’d pull out all the stops and go one better. What I’ve got for you today is the exclusive ‘opening’ ceremony for the Vega Ultra Portable PC manual. In English no less. I’ve had a read through it this morning though and there’s a few things I can point out. 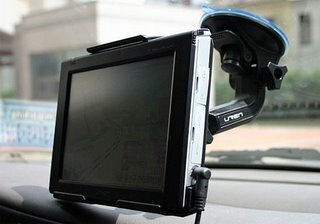 Before I do that though, has anyone else thought ‘car pc’ for this device? To me it seems almost perfect. Not too big (a 7″ screen is going to be too big to sit on top of most dasboards) and not over powerful. Its well priced and has good battery life. My only problem with it is that it doesn’t have a bluetooth module built in so won’t be able to link it up with a Bluetooth GPS module, a headset or a cellphone for internet access on the go without plugging something into the USB slot. I’m not a fan of sticking USB modules into mobile devices becuase they either fall out or get broken off. They also look ugly. Maybe one of these DLink mini adaptors will do the trick. We’ll have to see. Good range of external screen resolutions. Great array of key-based shortcuts. over 40 combinations of keys on RHS of device including function keys, keypad and mouse controls. LCD off. Very useful for music. Hands-on is definitely needed with this device to determine it’s performance. As I type away here on a PII450 with 192M RAM I feel quite positive that the Vega is going to be a useful device. The PDF download is available here. Medion RIM 1000 on YouTube. I’m still hanging off that 56kbps modem with no flash support right now so haven’t watched this yet. Take a look here. I’m keeping my fingers crossed that it’s not a video of Barry Manilow or some other unsightly experience! Thanks to Jason for sending the link in. News Comments Off on Medion RIM 1000 on YouTube. Amtek T700 extended battery available. Both Bigbeaks and Ctitanic have received their extended battery solutions for the Tablet Kiosk v7110. As expected, 6-cells instead of three is doubling the battery life up to over 3 hours minumum. Thats about 4 hours under normal conditions and up to 5 hours in low-use scenarios. Guys. How’s the extra weight (around 250gms was my guess) and extra bulk. Is it still hand-holdable? This model battery should fit the Paceblade Easybook P7, Ago7, It’s and all other re-badged Amtek T700s. GottabeMobile Gotta Ultra Mobile PC. Dennis Rice of GottabeMobile just got a new Tablet Kiosk i7210 Ultra Mobile PC and has posted a brief video. I haven’t been able to watch the video yet as I’m on a 56kbps modem here but i’m sure its worth watching as they do some good videos at Gottabemobile. The i7210 is the second Pentium-M based ultra mobile PC to be available in the U.S. (last week a Pentium-M based Q1 appeared.) and should provide good performance advantages over Celeron based UMPCs. I’m also expecting to see some battery life improvement for low-useage scenarios as the Pentium-M has speed stepping enabled. The previous review I saw about this device (under the Founder brand) had a few things to say about low-quality materials, heat and noise so I’m interested to see what Dennis says about that. I also want to know how good that Synaptics mouse pointer is. The one on the v7110 is very good but the i7210 has a disc shaped pointer. I hope it’s as easy to use. How’s the sound quality on the loudspeaker? Is there a mic array or just a single mic? I’ll be getting my i7210 next week and also plan some videos and in-depth reviews so it will be nice to compare notes. Carrypad: i7210 data sheet with images and links. History, News Comments Off on GottabeMobile Gotta Ultra Mobile PC. Medion RIM 1000 ultra mobile PC. It looks like Medion have something mobile and pc-like up their sleeve according to the number of Medion-tagged messages I have here. The specs aren’t bad neither, with a 6.5-inch touchscreen, 802.11b/g WiFi, Bluetooth 2.0, onboard GPS, DVB-T tuner and webcam. Again we’re seeing that sliding keyboard design. This is definitely the way to get consumers interested in a UMPC. Everyone loves a gadget with a folding, sliding, hidden secret! Medion often sell through Aldi in Germany and the UK and usually aim at the lowest price possible by offering the device on a particular day and selling a few thousand (or tens of thousands) within a week. Quality is acceptable and they have a knack of getting the specifications just right. I’ll see what I can do to get more info from my German contacts. News Comments Off on Medion RIM 1000 ultra mobile PC.